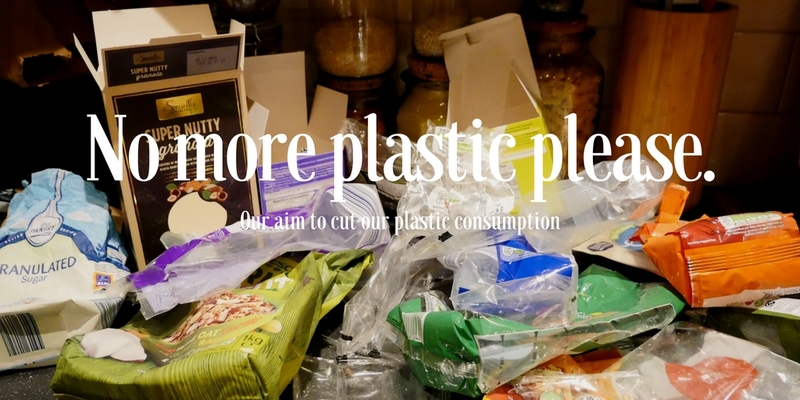 As Tom mentioned in his initial post on this blog, we had noticed that a large proportion of our waste output was plastic. Yes, we recycled this but we couldn’t help but wonder how the hell two people could accumulate so much waste… and was it actually being recycled? It wasn’t long before we found out just how hard it was to find food that was not wrapped in plastic. 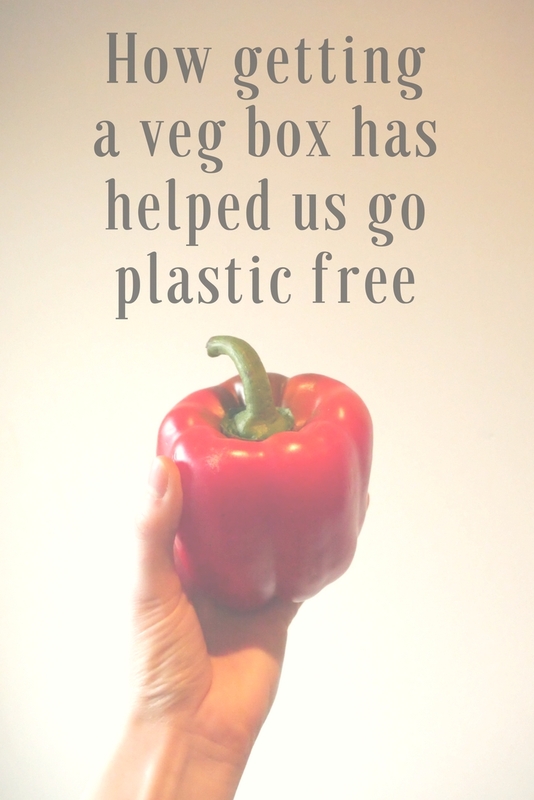 We have three major supermarkets (Sainsburys, Aldi and Booths) within walking distance of our house and the range of veg they had that was plastic free wasn’t huge. Tummies were starting to rumble and so we looked into getting a vegetable box instead of making regular trips to the supermarket. I’m still undecided on how I feel about this – I feel that we are perhaps spending a little more than we would normally but on the other hand we’re supporting a local business. I can be inventive with my cooking. 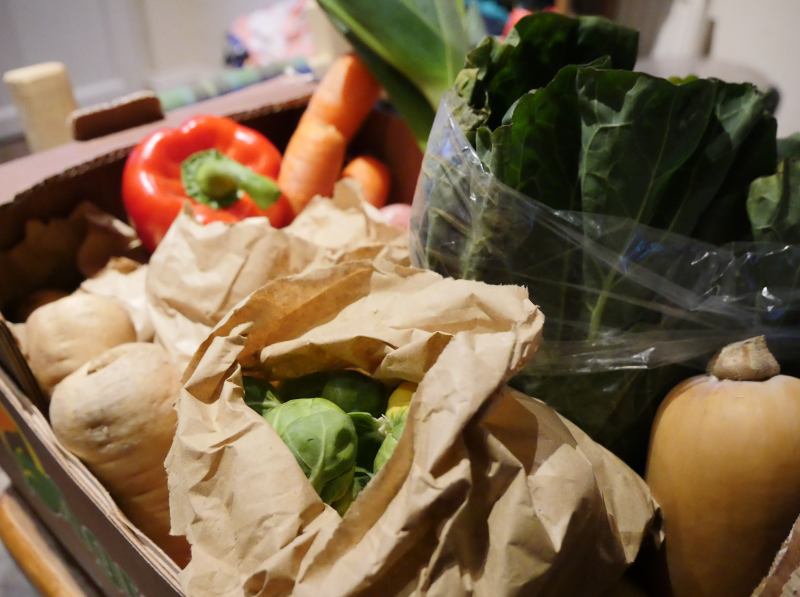 Our veg consumption has gone up considerably – yay healthier meals! 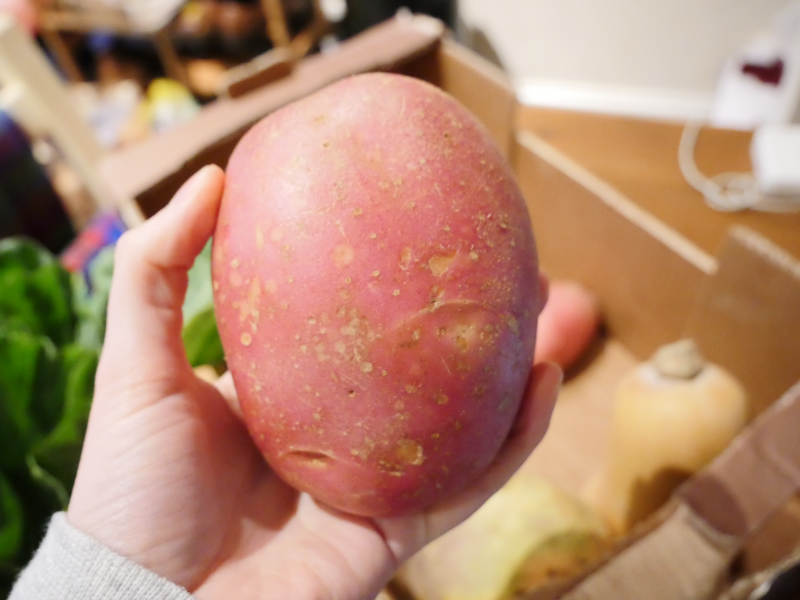 I can create a meal plan around what we’ve got to completely eliminate food waste. I haven’t stepped inside a supermarket in about two weeks (which in turn cuts costs as we always end up coming out of the supermarket with stuff we don’t actually need). No plastic! Well, mostly no plastic. We had a pack of green beans that came in plastic in our first box and a cabbage in the second box. I’m viewing it that it’s better than everything coming in plastic. 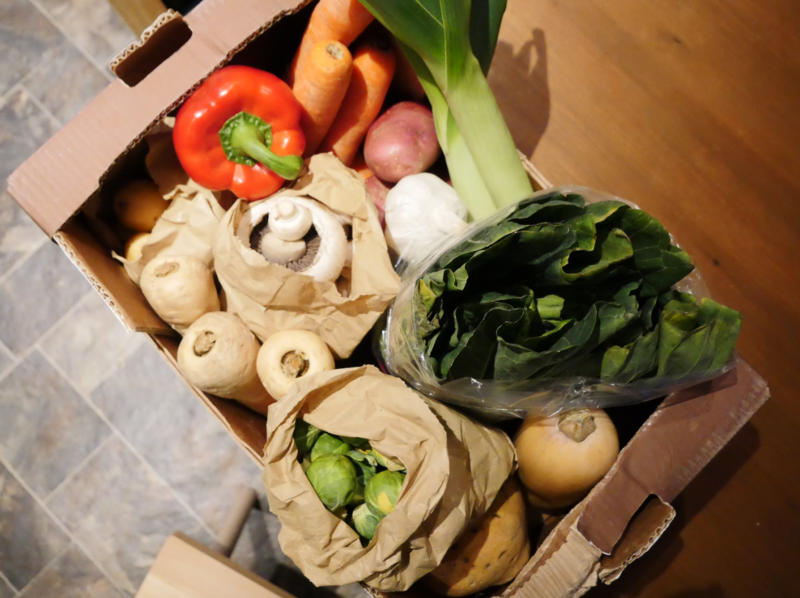 We’ve chosen a set veg box from the Crimple Valley Fresh website. It takes the choice out and I kind of love this as it means I have to make a menu out of what we’ve got and I don’t spend ages choosing veg in the supermarket isle. Thanks to my mum who was always a huge advocate of home cooking, I feel I can quite confidently cook most veg anyway so I don’t feel overly daunted by not having much choice. If we did want a choice though you can choose separate veg and quantities. 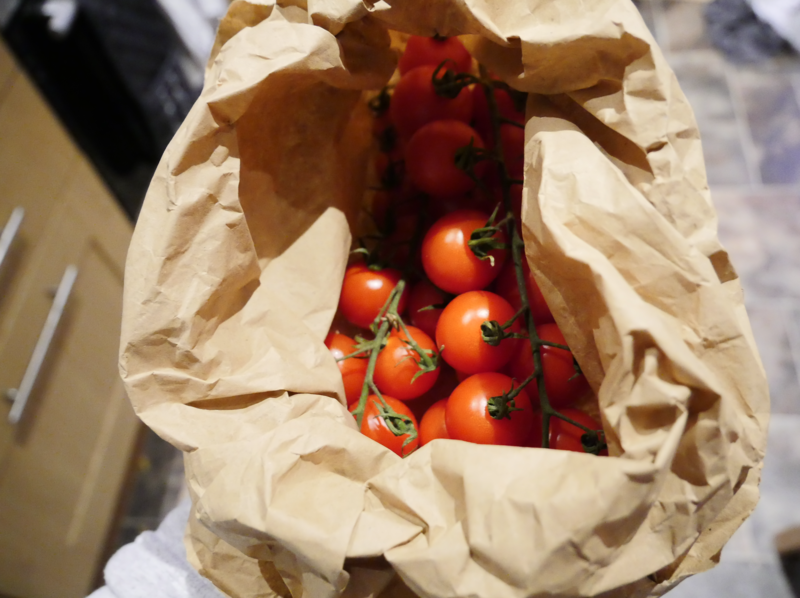 So, we’ve added some lovely tomatoes on top of our veg box. They’re super tasty! We were slightly worried about the footprint of this veg box, but our house is one on a whole round of deliveries he makes and so he would be coming this way anyway. We’re on our second box right now, so I shall update you as we go along. The second thing we’ve done is to research a local milk man who delivers in glass bottles – and sure enough, we found one. 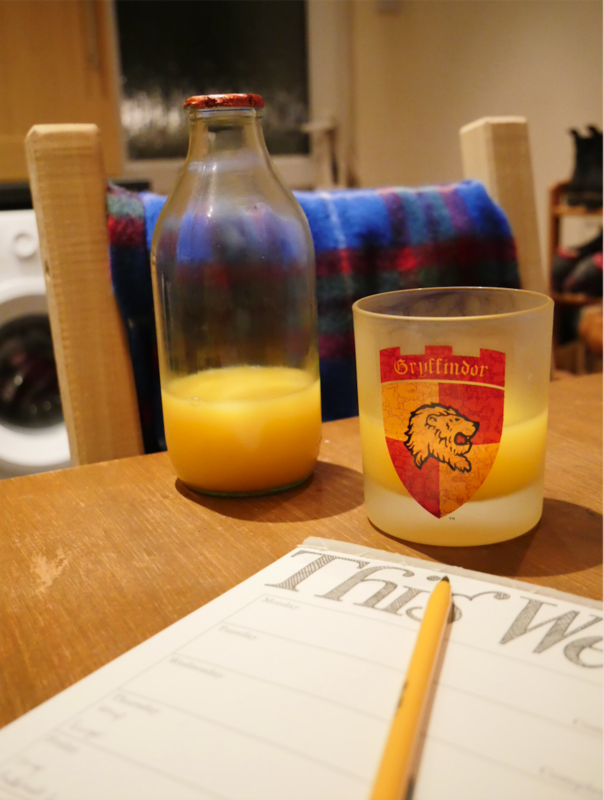 Not only does he deliver milk in glass, but orange juice, too. He also provides butter in paper wrapping and eggs in a cardboard/compostable box. We get it delivered to the door very early on a Monday morning ready for the week. It’s been utterly delightful – and we’re excited that our money is going into a local business and not the large supermarkets. We started to pull our hair out when it came to bread. 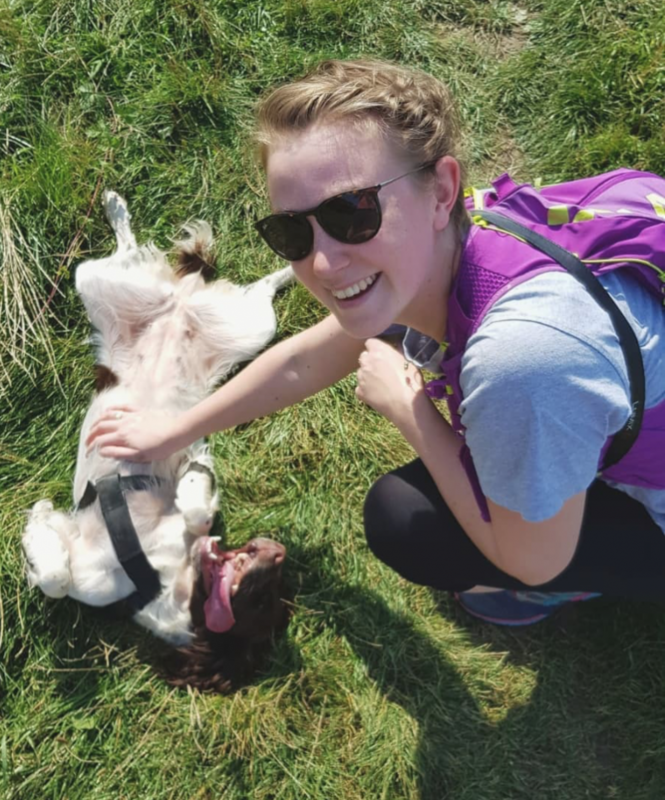 Yes, I could make it but I work full time, need a good 8 hours sleep a night, want time to spend with my wonderful other half and time to go outside and do fun stuff (not to mention keeping on top of this blog, which would be nice…). Needless to say that fitting making bread into that schedule is nigh on impossible. So, into town we went to look for a bakery. We found one on the market square and they open at 7:45am, which means I have time to pop up before work. An added bonus of this is that on a Thursday here in Ripon the veg stands on the market are also open at this time, meaning I can top up on any extra veg that I may want for the weekend. There are many things that we now opt not to eat because it’s all wrapped in plastic, such as frozen foods (I’m crying inside). We really need to look into how to source some of these foods from elsewhere otherwise I’m really going to miss my frozen peas! It’s not just frozen goods though. Pasta for one thing is impossible to find with no plastic packaging. It’s certainly going to be a challenge but my one silver lining is that it will most definitely make us have a healthier diet. 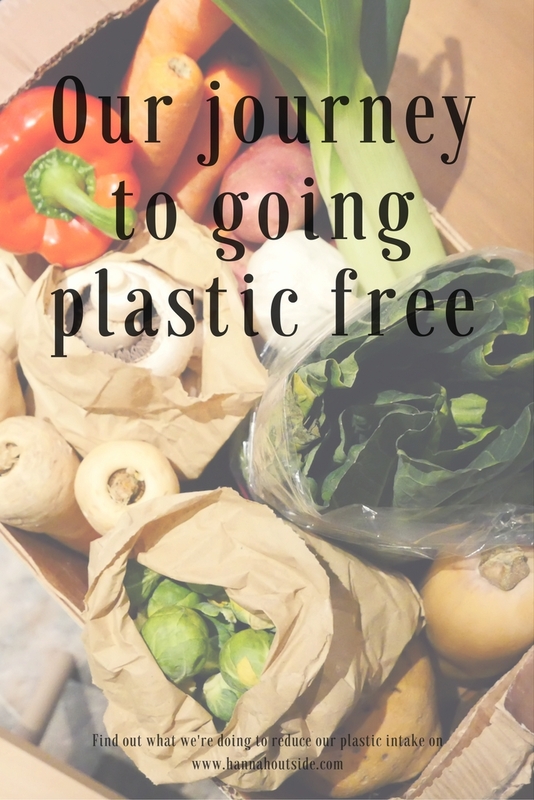 The more we looked into it the more we discovered that plastic was a real issue – see just a small sample of links on the topic below. Seven charts that explain the plastic pollution problem <visuals! 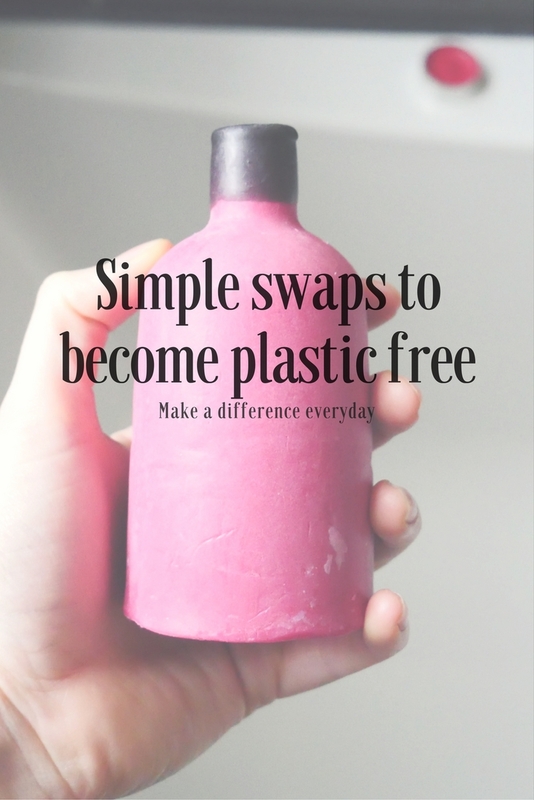 Click on the picture below to see our simple swaps to help you go plastic free, too! Sharing is caring – Pin me! On the issue of bread, we were given a bread maker. 5 minutes in the evening to put ingredients in, it has a timer and we have fresh bread in the morning. We started because my daughter reacted to soya and I discovered in reading the ingredients that not only did most shop bought bread have soya in but it also had a load of other weird stuff is rather not be feeding my kids daily. As a side effect it’s become part of our plastic reduction too. No knead bread might work better. Jim Lahey’s no knead bread is now infamous, both for the rustic artisanal quality, and the fact that you don’t lay a hand to it. I make two at a time, because it takes a high temperature oven for an hour to bake, so I double up and freeze one. It takes me about 10 minutes to get two loaves ready, which I then bake the next day, after a 12-18 hour proving time. Since I decided not to buy any processed or pre-made food years ago, finding this recipe hade an enormous difference.